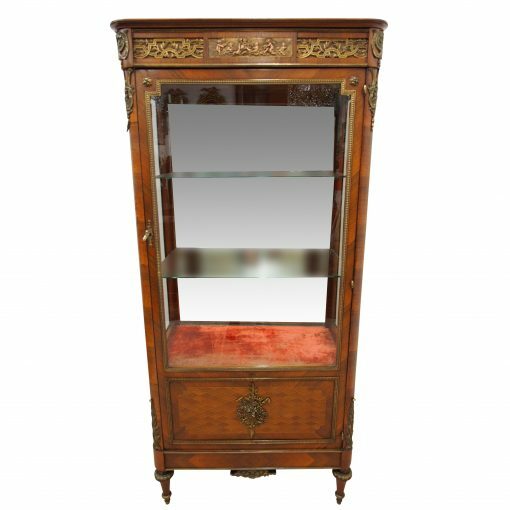 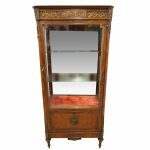 Circa 1880, French kingwood vitrine with variegated marble top. 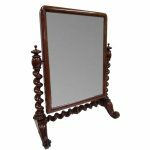 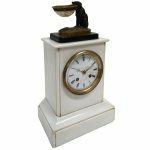 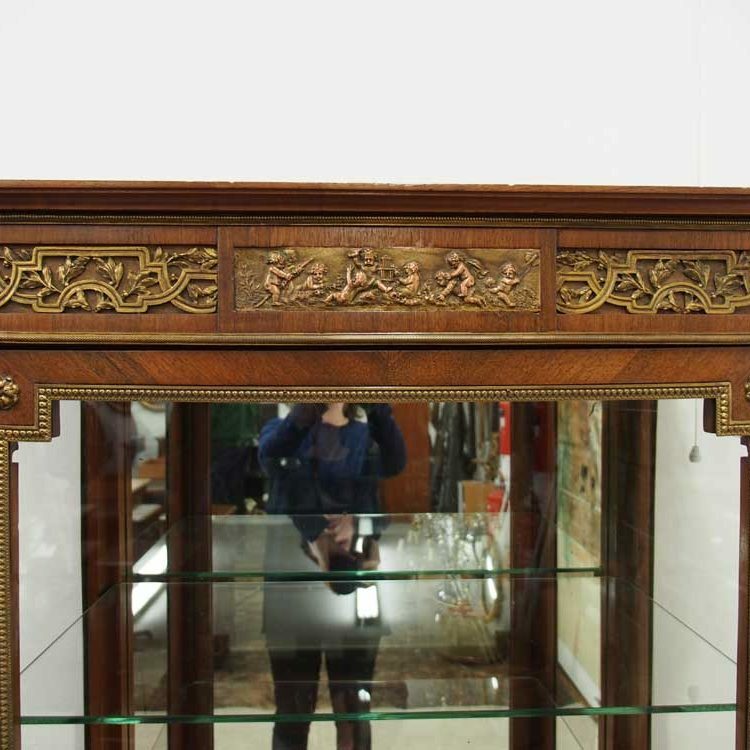 It has stylish neo classical heavy cast bronze mounts to the sides and front of the frieze. 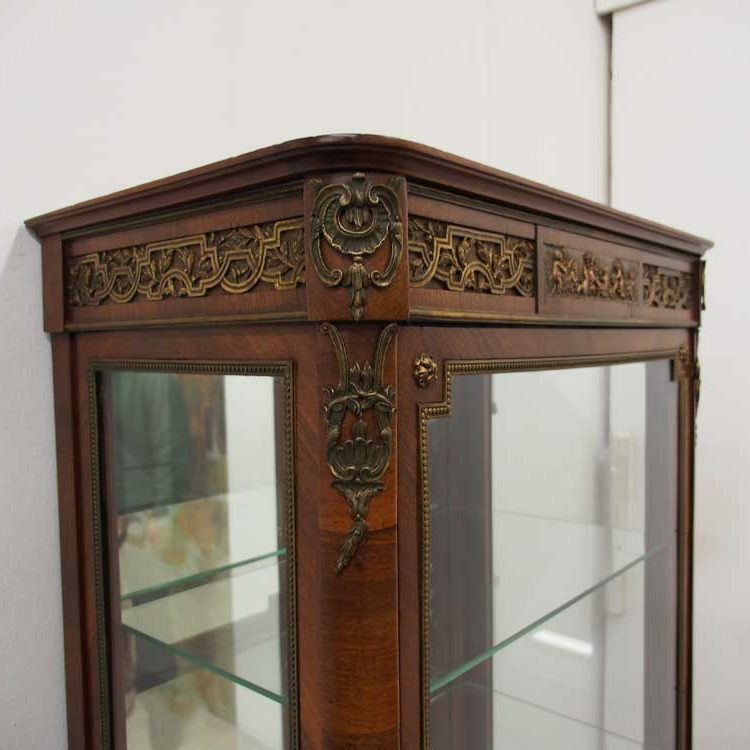 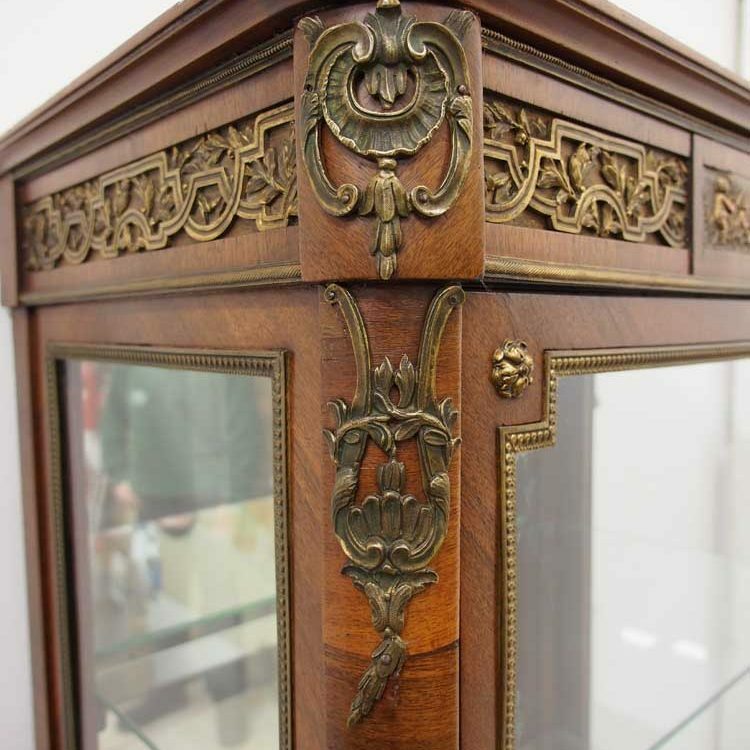 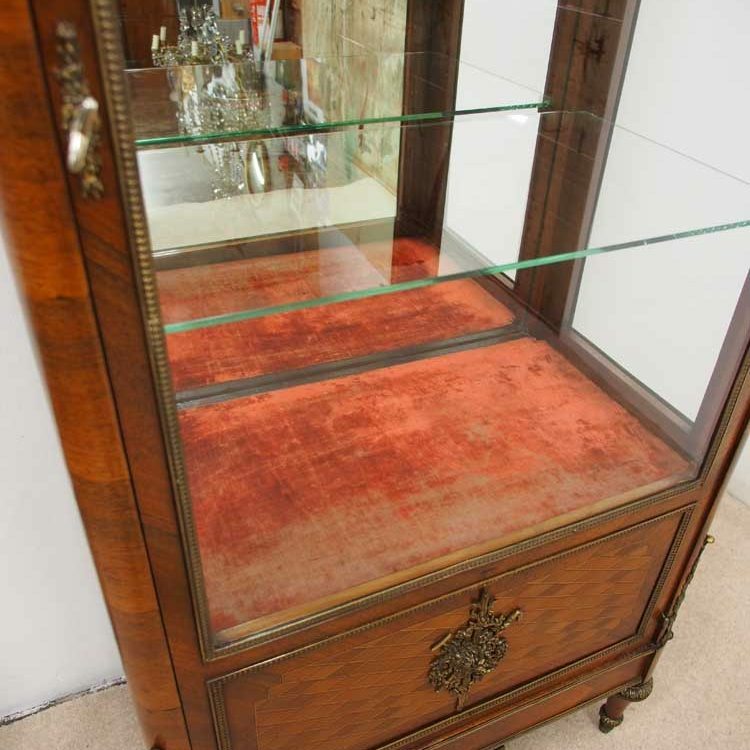 The vitrine has a single door with brass beading and when opened reveals a cabinet with 2 glazed shelves. 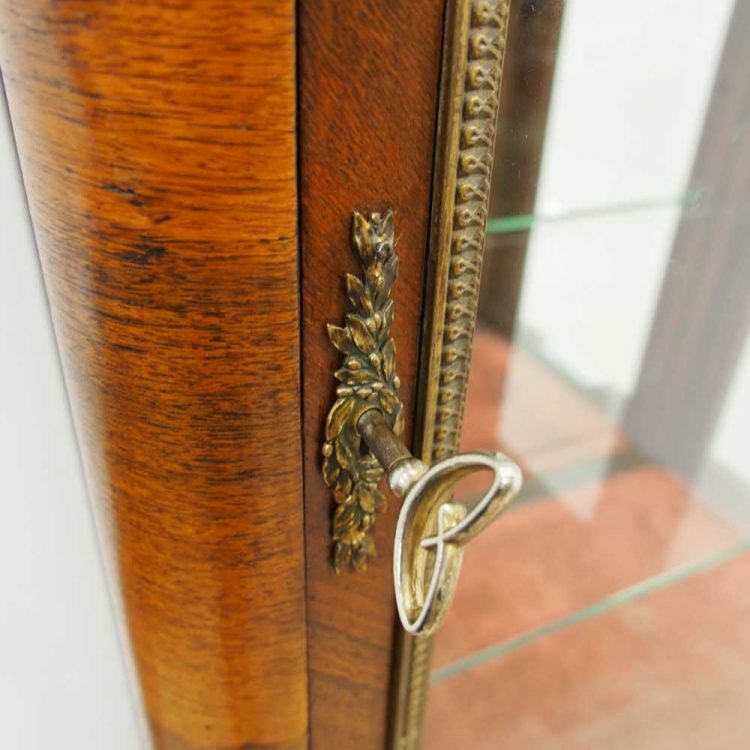 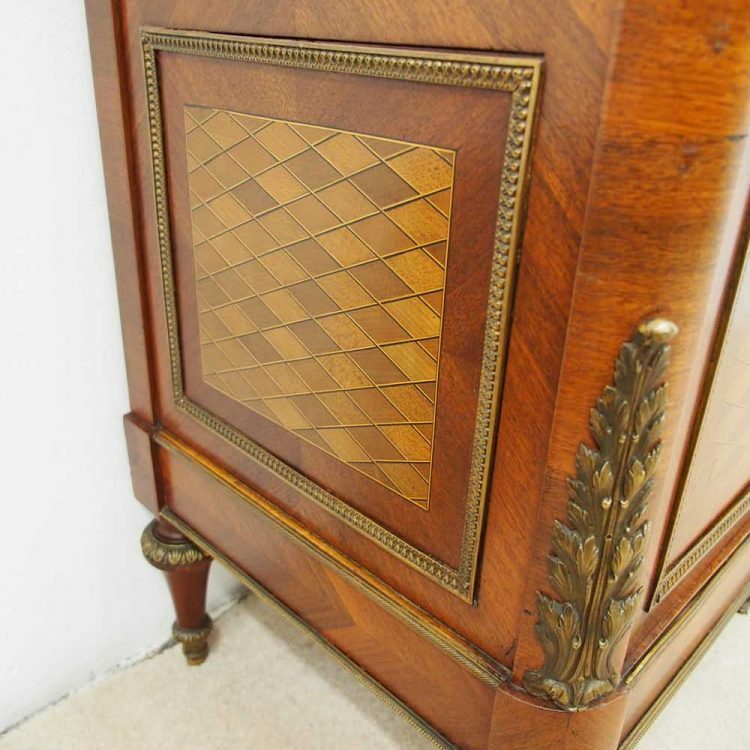 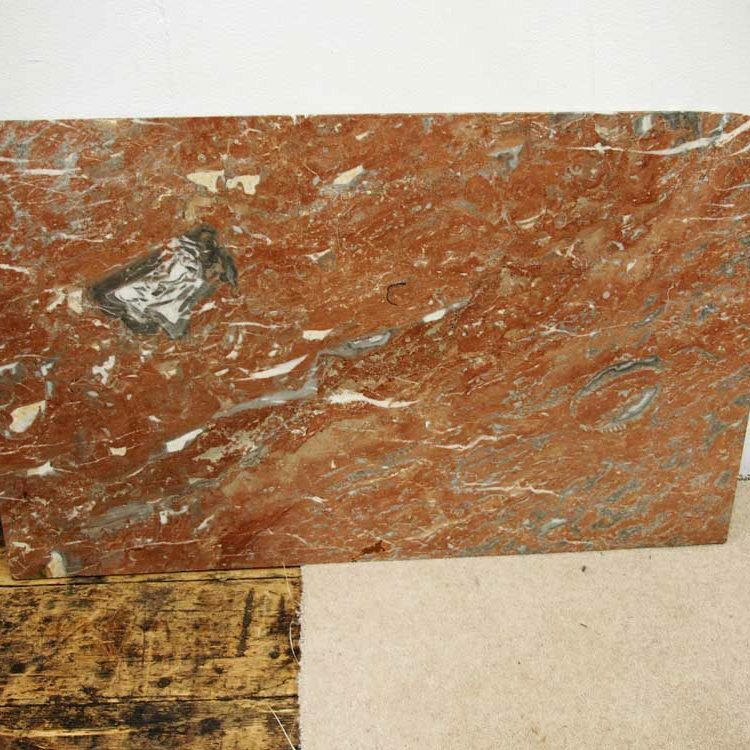 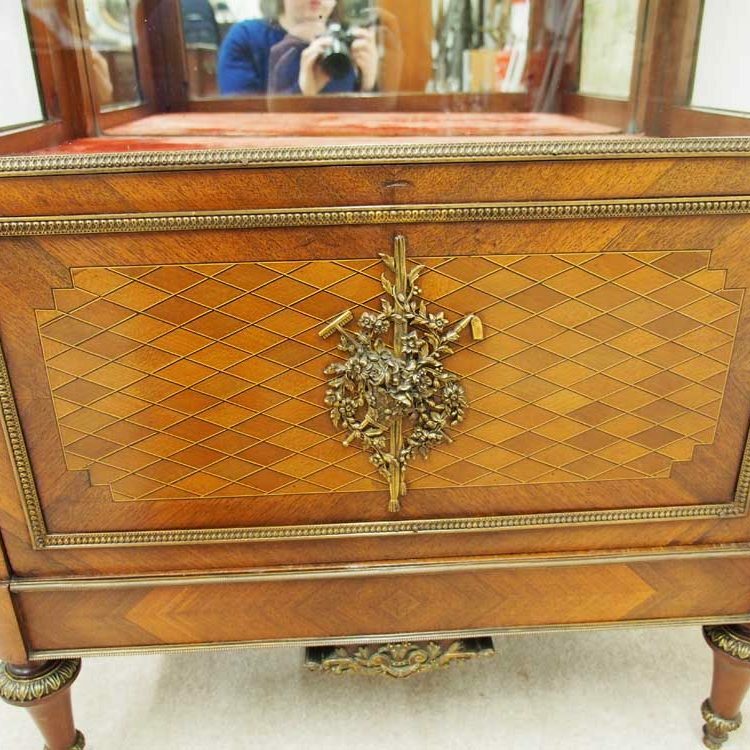 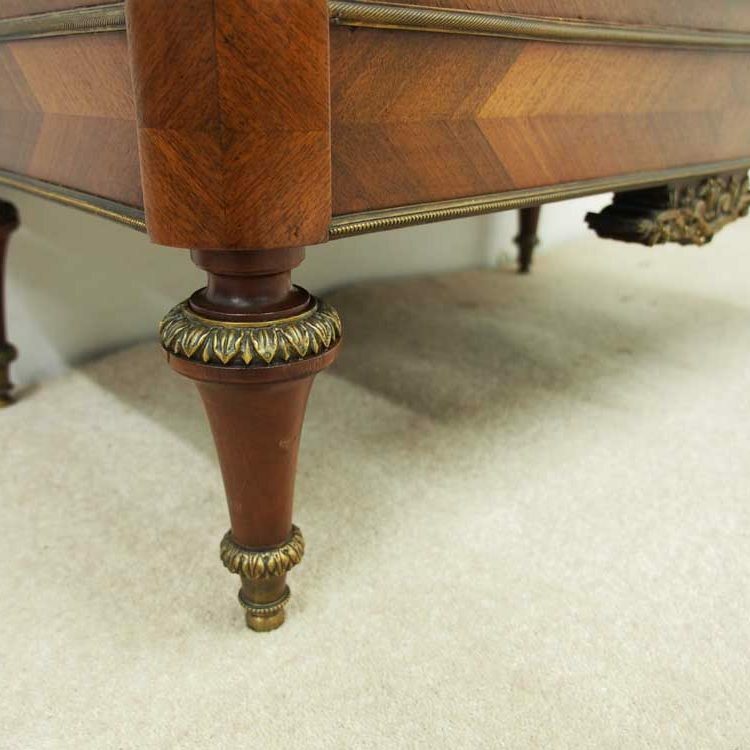 There is a parquetry inlaid base at the door, with cast ormolu mounts. 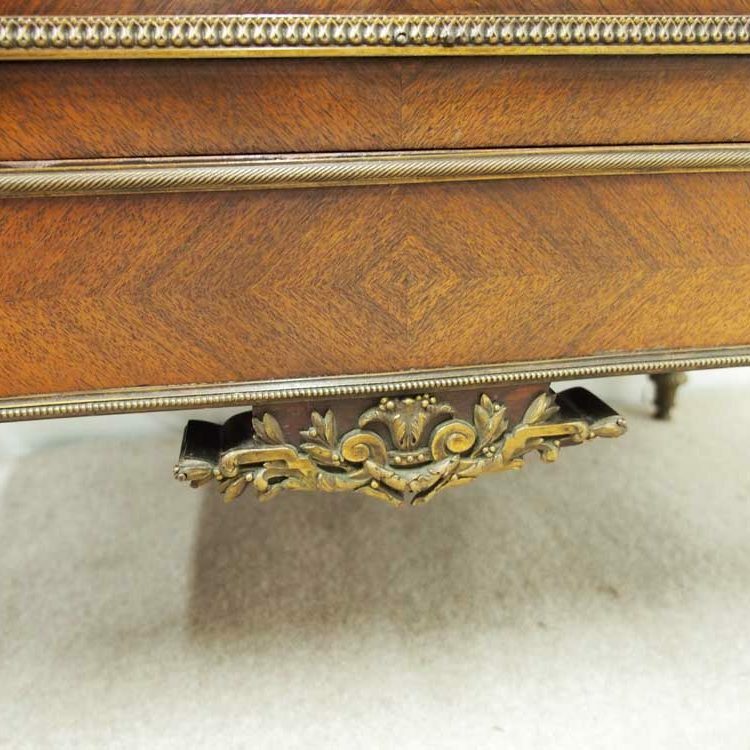 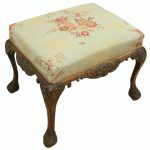 It stands above a skirt with bronze mounts on ormolu mounted, turned supports.